Book a Privilege room at the Quality Hôtel Menton Méditerranée for Valentine's Day. This comfortable room averages 21m2 in floor area and has everything you could wish for: double bed with premium bed linen, bathrobe and slippers provided, welcome tray, mini-bar, flat-screen TV with over 80 channels to choose from, safe and en-suite bathroom with bathtub. When you book, request a room with mountain views* to gaze at from your private balcony. Get the morning off to a smooth start and ask reception to bring breakfast to your room (no extra charge) to enjoy in the sun on your balcony. You can also go downstairs for breakfast in the light-filled veranda at the ground floor Le 5 restaurant. 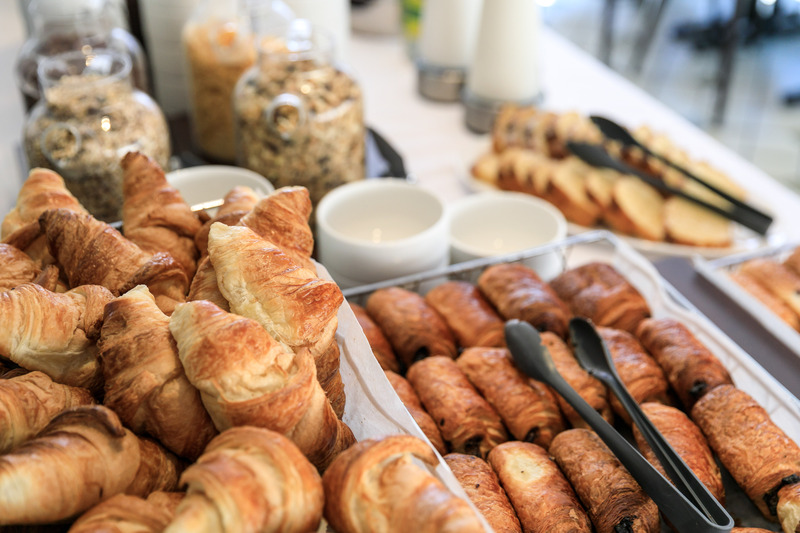 Our breakfast buffet includes a wide range of pastries, fruit, savoury items, fruit juice and hot drinks every morning. Reception is open 24 hours a day to meet your needs and requirements. Entrust one of our team members to give your partner a surprise on arrival: bottle of champagne, box of chocolates, bouquet of flowers etc. 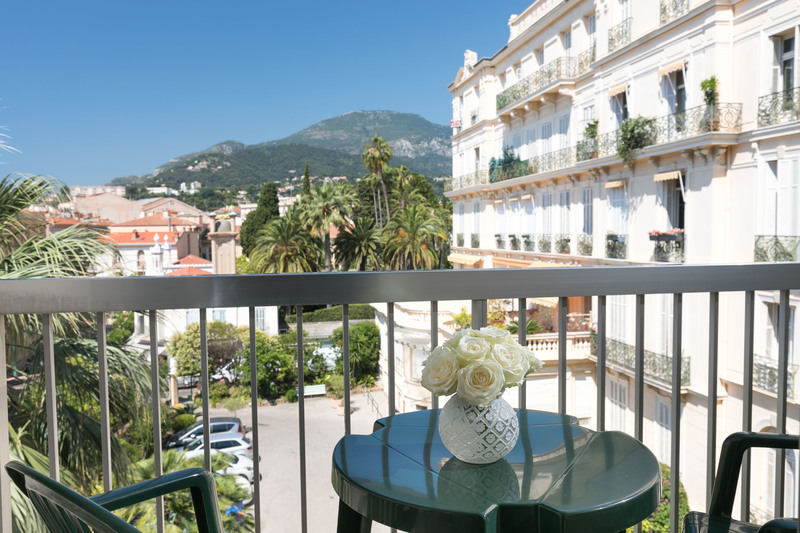 Nestled in the heart of Menton, the Quality Hôtel Menton Méditerranée is the perfect place for romantic walks. It's less than a 5 minute walk from the old town, Menton's best beaches and prettiest parks. Menton lies on the Italian border so plan a day to visit the land of love. Make the most of the Valentine's Day weekend to visit the Lemon Festival in Menton starting on February 16th 2019. It's a zesty event celebrating the lemon harvest, the region's speciality! For the ultimate Valentine's evening book a table at Le 5 restaurant under the Quality Hôtel Menton Méditerranée's veranda. The recently renovated dining room has had an update but stayed true to its Belle Époque charm. The chef and his team serve a diverse menu with Mediterranean dishes and Provencal flavours. 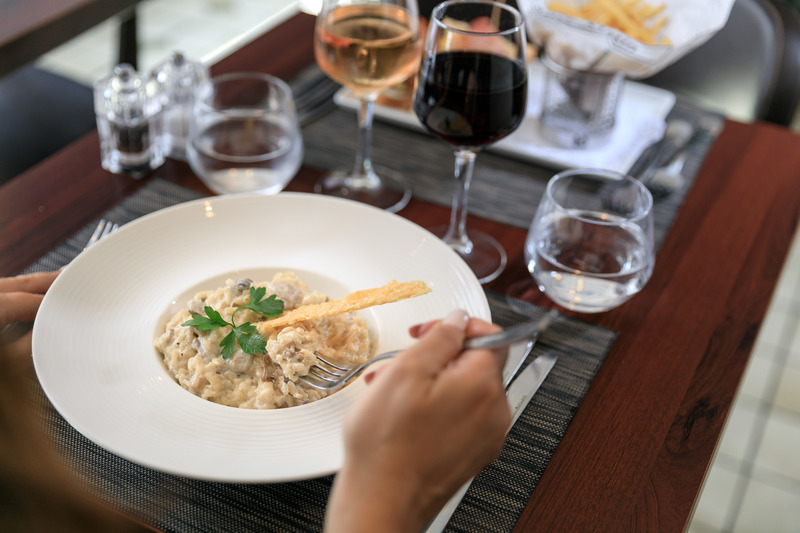 Treat yourself be surprised by the Valentine's menu with starter, main course and dessert and its wine list at attractive prices. Linger a little longer at the romantic hotel bar on the rooftop on the 7th floor. Dive into the cocktail and tapas menu on the 170m2 panoramic terrace with unobstructed views of the Mediterranean Sea and Menton. This is the perfect occasion and place to take the plunge and propose to your other half! 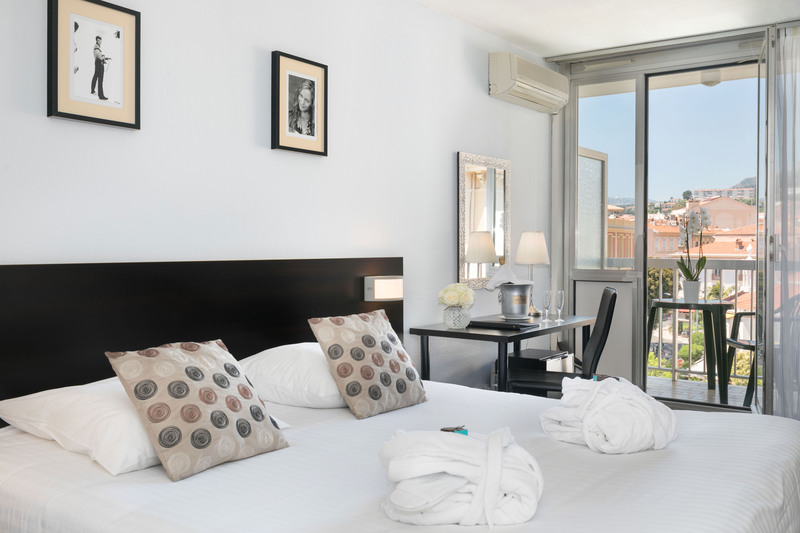 It will be love at first sight at the Quality Hôtel Menton Méditerranée on your romantic weekend in Menton. Book a room in our romantic hotel on our official website and enter the code "DIRECT" to get up to 15% off your stay.